There are six games in the Midwest Region on Friday, and we’re picking each one. In this blog we have three 2017 March Madness Midwest Region free picks starting with #10 Oklahoma State at # 7 Michigan. That game tips off at 12:15 p.m. The second game starts at 2 p.m. and features #14 Iona at #3 Oregon. The other game in this article has #15 Jacksonville State playing #2 Louisville at 2:45 p.m. Later in the afternoon and into the evening there are three more games. Here are our first three 2017 March Madness Midwest Region free picks for Friday. 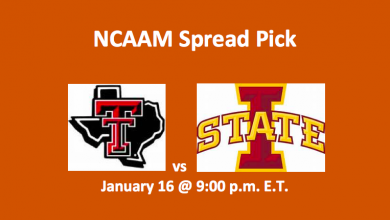 This could be a barnburner as the Big 12’s Oklahoma State Cowboys, who finished 9-9 in the conference and in fifth place, come to this game having had a very competitive season. They are presently on a three-game losing streak, but each of those games was against a nationally ranked team and two of three losses were by three to five points. Guard Jawn Evans offers fine playmaking and scoring chops. He’s averaging 19.0 PPG. Jeffrey Carroll leads the team with 6.6 rebound per game and is second in points, averaging about 17 per game. In the Big Ten, the Michigan Wolverines finished sixth in the conference at 10-8. The Wolverines have won five in a row including all three Big Ten tournament games to take the championship. Michigan has four players who are averaging double-digits in scoring. Guard Derrick Watson Jr. is averaging 15.2 PPG, 4.7 APG, and 4.7 RPG. Another guard, Zak Irvin, is an avid scorer and rebounder. In the frontcourt, Moritz Wagner and D.J. Wilson offer points and rebounds. We’re going with the very hot Wolverines at -2.0. As far as the totals go, we’re taking the under at 153.5. From the Metro Atlantic Athletic Conference, the Ion Gaels come to this game after a third place conference finish and a run at the conference tournament that gave them that championship as they beat Sienna 87-86 in OT. Forward Jordan Washington leads the team in points (17.4 PPG) and rebounds (7.4 RPG). Guard Rickey McGill is the playmaker and a solid scorer, with 5.2 APG and 10.8 PPG. 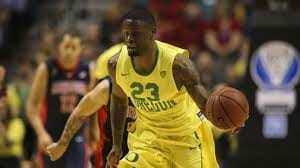 The Oregon Ducks virtually tied Arizona with a 16-2 PAC-12 regular season record and then played the Wildcats for the tournament crown losing 83-80. The finished the regular season with a six-game winning streak. The Ducks have five scorers who are averaging double-digits. Forward Dillon Brooks is hitting 51% of his shots and 41% of his threes. He’s averaging 16.3 PPG. Chris Broucher is solid in the frontcourt averaging 6.1 RPG and 11.8 PPG. We think the Ducks will outmatch the Gaels and beat them by more than the 14.5 spread. 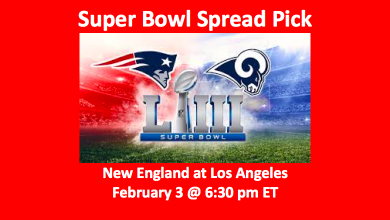 We’re going with under 152.5. If things go as they have been thus far, we see Jacksonville State being beaten by about 20 points in this game. The Cardinals are 19.5 point favorites in a game where the over/under is 134.0. The Jacksonville Gamecocks are from the Ohio Valley-East where they finished third in the division and won the tournament crown. They have four players scoring in the low double-digits with Malcolm Drumwright leading the team scoring 12.6 PPG. The Cardinals finished third in the very tough ACC. 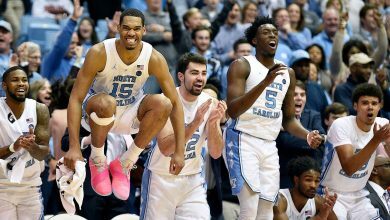 They lost to Duke 81-77 in the second game of the ACC tournament. 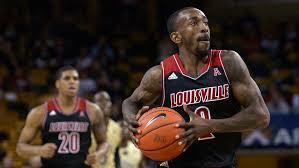 Louisville is a dominant rebounding team and have some fine playmakers. Forward Jaylen Johnson is a top rebounder and 60% shooter. Guard Donovan Mitchell leads the team with 15.7 PPG. We’re looking for the Cardinals to dominate in the second half and beat the 19.5 spread. Take the over at 134. Those are the first three 2017 March Madness Midwest Region free picks. We have three more upcoming as #11 Rhode Island plays #6 Creighton at 4:30 pm, #16 UC Davis is at #1 Kansas at 6:50 pm, and #9 Michigan State plays #8 Miami at 9:20 p.m.